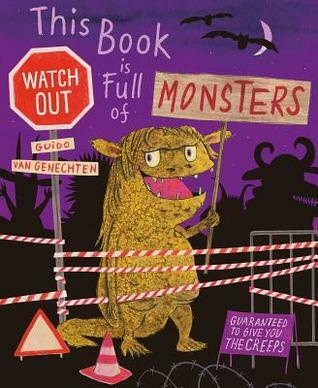 If you’re looking for some spooky rhyming fun, then Monster School by Kate Coombs will fit the bill. In this kooky and zany book, young readers will find rhymes about a student who loses things–like body parts, a unique family tree, a boy who avoids his homework, a girl who you would be wise not to cross, and more monsters with all kinds of antics. These delightful lyrics will entertain any youngster who enjoys monsters. 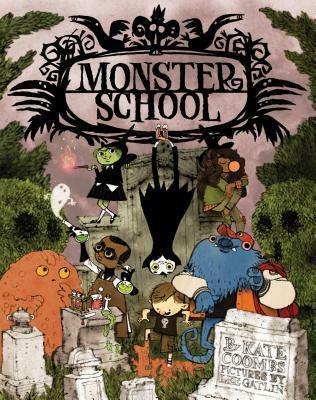 Accompanied by spectacular artwork from Lee Gatlin, Monster School is sure to be a favorite for Halloween and other times of the year when you want a laugh. Reminiscent of Shel Silverstein, this book will get lots of reading time. I received a free copy of this book from the publisher. This review contains my honest opinions, which I have not been compensated for in any way. This Book is Full of Monsters is a silly and adorable story written and illustrated by Guido van Genechten. Young readers are warned from the beginning and given a list of things they need if they dare to open the front cover of this book that is filled with small, stinky, loud, gross, sleepy and sometimes scary monsters. This book is a fun interactive experience that kids will enjoy. They might even be in for a surprise or two. With van Genechten’s superb artwork and such a zany story, youngsters will be going back to this one time and again.